Three years after The Empires of the Worlds, here we have another Biomechanical album that amps up that record’s virtues to a spectacular height, and does absolutely nothing to address its glaring faults. The awesome riffs are even awesomer, but the sense of emotion and atmosphere that was spasming in mortal pain on the last record is now comatose and almost ready to have the switch turned off. Those familiar with Biomechanical’s music will know that they have the propensity to dazzle you on the very first listen with their pumped-up and intensely accelerated proggy-thrash-meets-Pantera riff festivals that might be described as “songs”. The very basis of their music is riotous technicality combined with spine-melting groove, and at their best they have mastered this combination to such an extent that it’s extremely difficult to think of anybody that can match them. But what lurks beneath this bright metallic surface? Cannibalised has little soul to speak of, and closest thing to spiritual responses it can evoke in all but the most easily moved listener are things like “Dude! That’s a monster solo!”, “Hey, I’d like to be able to play the guitar like that”, and the lesser-spotted “Dear god, why on earth did they think that horrible acoustic bit was a good idea?”. There’s remarkably little melody to be found here, which is surprising given the sometimes overwhelming presence of the keyboard, and the background that key members have in the power metal scene. In the case of the former, it often seems as if the orchestral sounds which the band puts to effective use at times are more for percussive purposes, or else to add a sense of action-movie drama to the album (as with the very beginning of the opening track). When the band does turn its agile hand towards mellower musical passages (such as the utterly lame first half of Breathing Silence), the results are less Michaelangelo painting the Sistine Chapel and more Mr. Bean painting a field of sheep, if his brushes had been replaced by frozen turkeys. Of course, the absence of more obviously “melodic” moments does not have to be a barrier to any deeper form of emotive musical expression as anybody who has heard Death, earlier Bathory, or countless other purveyors of classic extreme metal will testify. 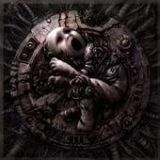 But despite often being as heavy as those bands, Biomechanical are really not connected to the extreme metal tradition. The concept of brutal music being a source of powerful catharsis is alien to them. Instead, Cannibalised works by the rule of thumb dictating that “heavy bits are for showing off, and if you want to express something you have to play quiter with less distortion”. The problem with this, and excuse me for being blunt, is that they can’t write melodic music, and John K certainly can’t sing it. But hey, if you are an admirer of virtuosity and of the power that can be generated by batteringly unpredictable riffs, there are huge, huge swathes of this record that will have you in heaven, and coming back for more again and again. It goes without saying that if you are looking for music to play at your funeral you should probably stay away from this, unless you are very odd and dislike your relatives intensely. But on the other hand, on its own terms some of Cannibalised is just incredible. The title track is the aural equivalent of snatching Meshuggah’s ice cream and leaving them in tears, despite the obnoxious caterwauling that ineptly mounts those staggering, metrically-modulating riffs. The Unseen is similarly excellent. Ultimately, Cannibalised is completely superficial, but the single dimension upon which the band is able to function is mastered so comprehensively that at times it hardly seems to matter.